Home/General/How to Get Rid of Chapped Lips? Chapped lips can be annoying, painful, and even unattractive. But for a variety of reasons, many of us deal with them at various points throughout the year. 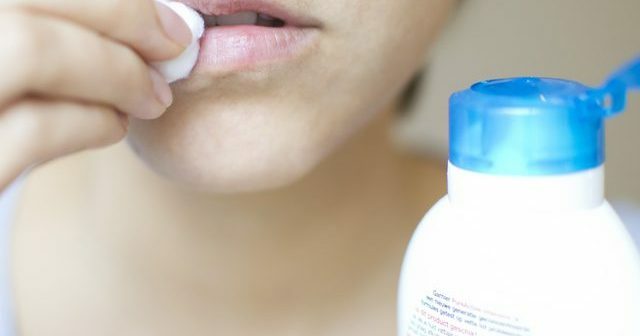 Whether it’s the weather or bad lip balm, there are things you can do to prevent and get rid of your dry, chapped lips. Chapped lips have many causes. And because the lips do not contain oil glands, like the rest of your skin, they are prone to drying out. So how can you prevent dryness in the first place? Don’t lick.Licking your lips only dries them out more. Because saliva evaporates quickly, your lips are drier after you lick them than they were before. Don’t use flavored lip balms.When you put tasty things on your lips, you’re tempted to lick. While flavored lip balms may be fun, they can lead to dry, cracked mouths — no fun at all. Use sunscreen.If you’re planning on a day in the sun, use a lip balm with sunscreen. It will help keep your lips from getting burned, and the dryness and peeling that can occur afterwards. Cover your mouth when out in the elements.Cold air especially can dry your lips. Covering them with a scarf when you head out into brutal temperatures can help keep them protected. Steer clear of allergens.You may have sensitive lips that get irritated when they come in contact with perfumes, dyes, or fragrances. So keep cosmetics and products with these ingredients far from your mouth. Stay hydrated, inside and out.Winter air can be dry, so keep the air in your house moist with a humidifier. Also, be sure to drink plenty of water to avoid dehydration, which can lead to dry skin and lips. If you already have dry, cracked lips, those prevention methods may keep them from worsening. But there is even more you can do to help them heal more quickly. Gently exfoliate. 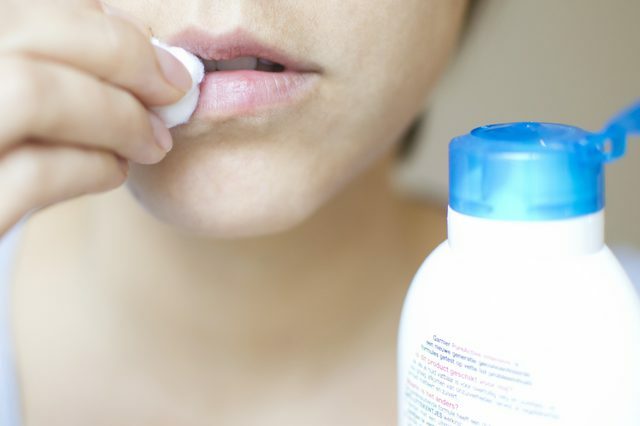 When your lips are chapped, they can be rough and start to peel. Taking off skin that isn’t completely dead, however, can lead to bleeding and pain — so be careful. Apply a gentle exfoliator like a sugar scrub with your finger. Be sure to follow with a good moisturizer. Moisturize. Use a moisturizer to keep your lips from drying out further. Products containing beeswax or petroleum work to hold moisture in. Slather on more at night before you go to sleep. Ointments like coconut oil, cocoa butter, Vaseline, and even thick body lotions are good options. When paired with the prevention methods above, these two treatments alone can speed the healing of chapped lips. If you find that your lips simply will not heal, there may be an underlying condition to blame. Chapped lips can get infected, as bacteria can enter through cracks and abrasions. This is known as cheilitis and must be treated by a doctor. We all suffer from dry, chapped lips at some point. And in most cases, careful attention and prevention are the keys to getting your lips looking and feeling better.